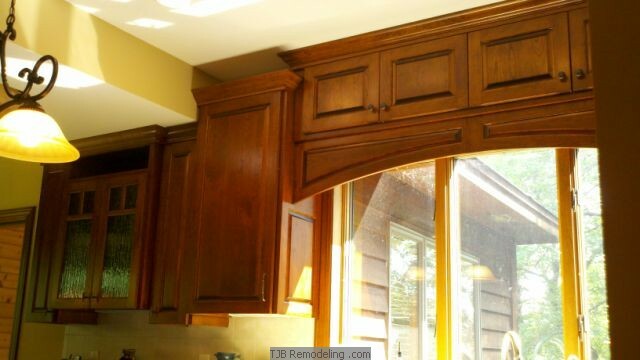 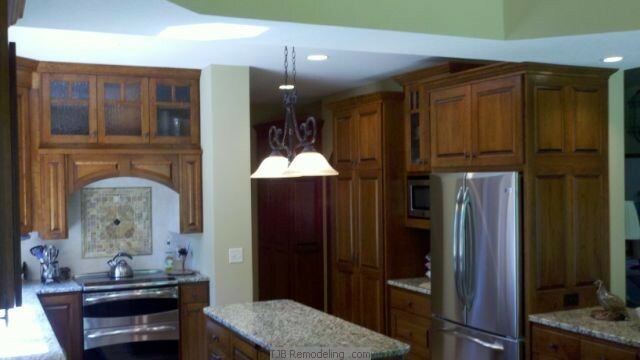 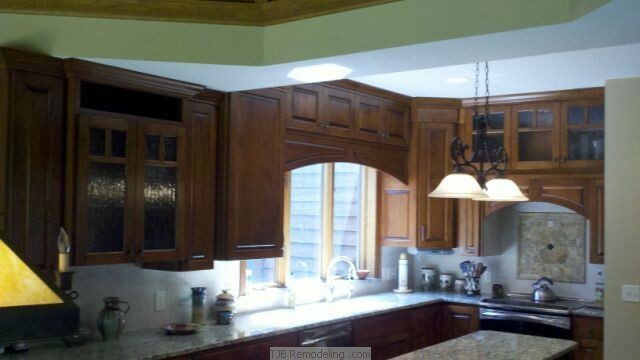 Medina, MN | Addition, Kitchen, Mudroom | Parade of Homes Remodelors Showcase Fall 2012. 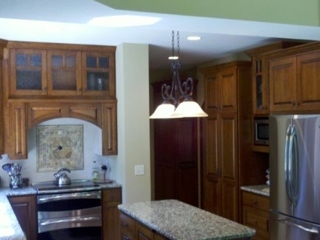 Scope: Scott & Sharon chose TJB Homes, Inc. to custom build their dream home in 1987 on 15 acres that sits among the serene woods, open fields and Mother Nature. 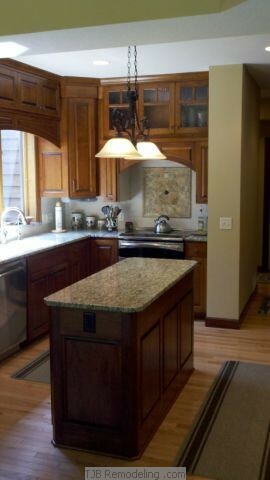 Twenty-five years later, and they are back and ready to update the kitchen and mudroom, again with TJB Homes Inc.
Scott, being an avid hunter and fisherman, loves to bring home his bounty for wife Sharon of 32 years to create spectacular wild game and fresh fish meals. 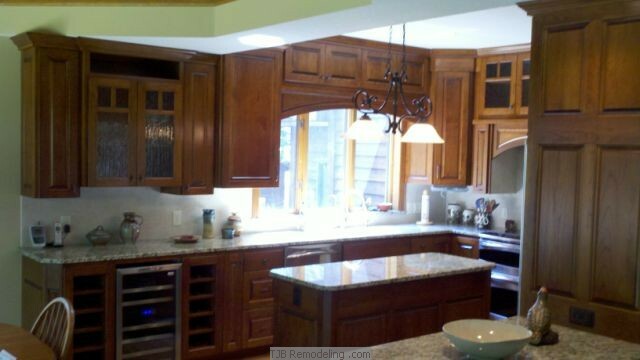 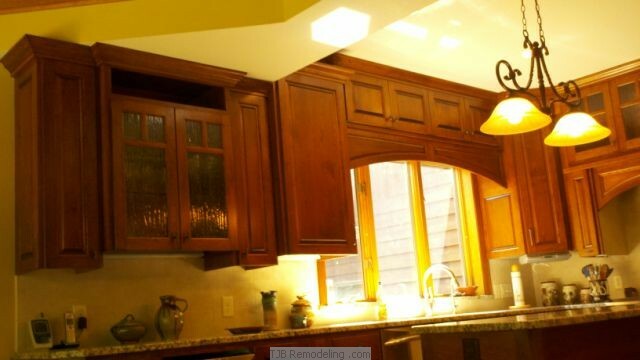 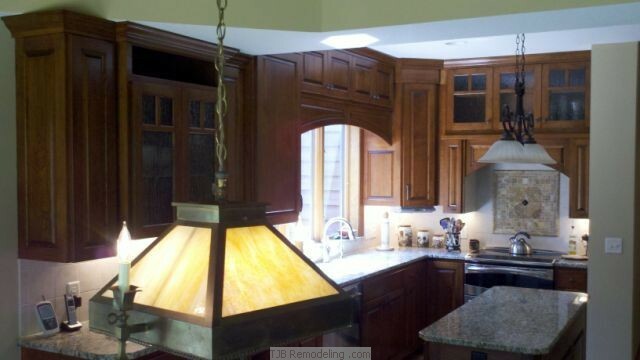 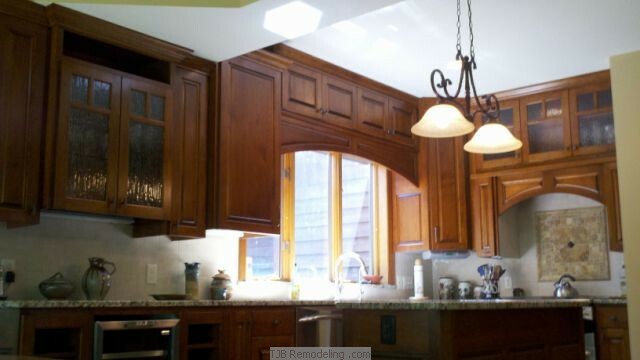 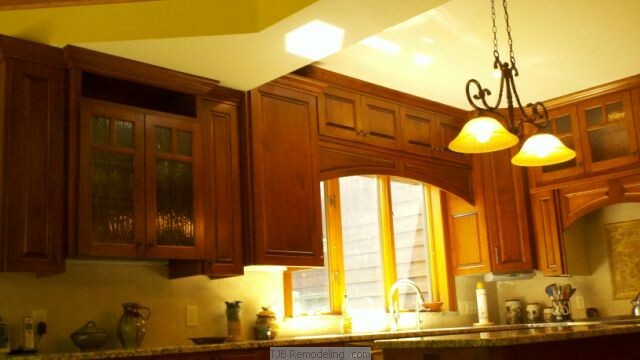 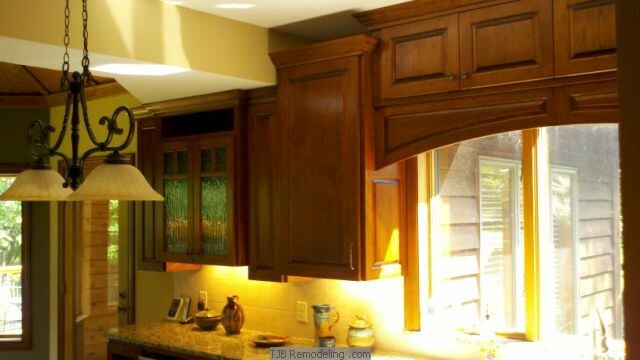 The kitchen remodel consists of opening many walls to create that ever so popular "open floor plan". 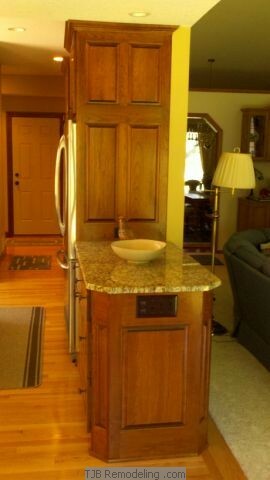 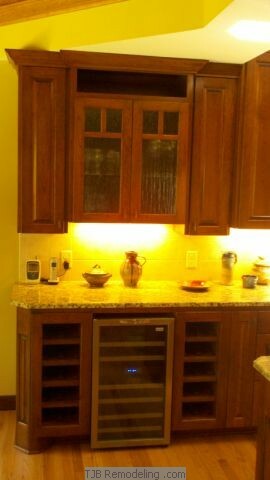 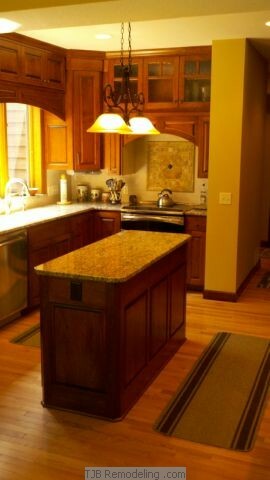 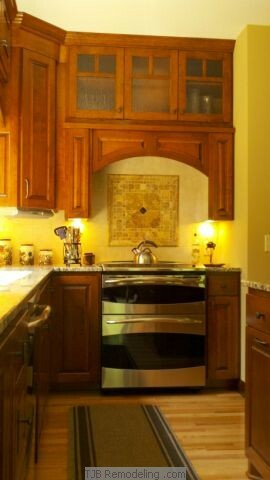 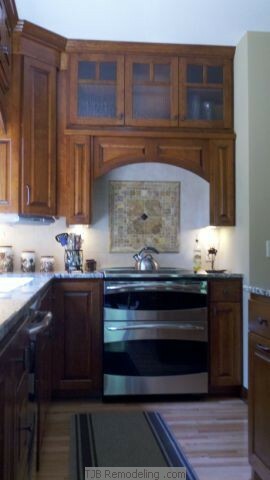 The custom cherry cabinets abound the kitchen with loads of storage and tons of working space on new granite tops. 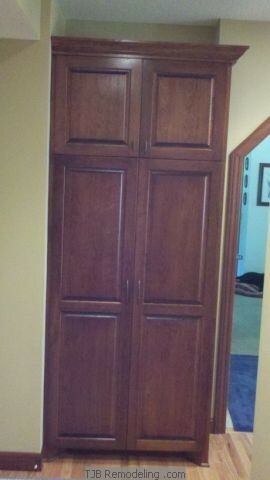 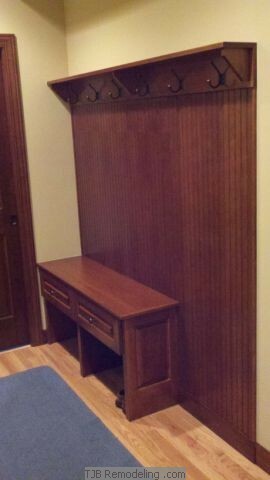 We also added space to the existing mudroom, along with a bench with storage and a bead board rail with hooks and shelf. 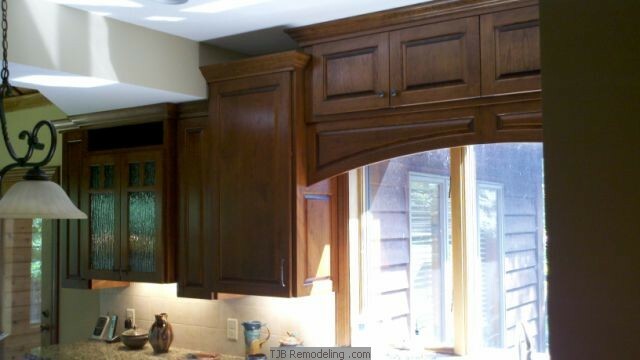 This project already has Sharon's wheels in motion for future remodeling plans. 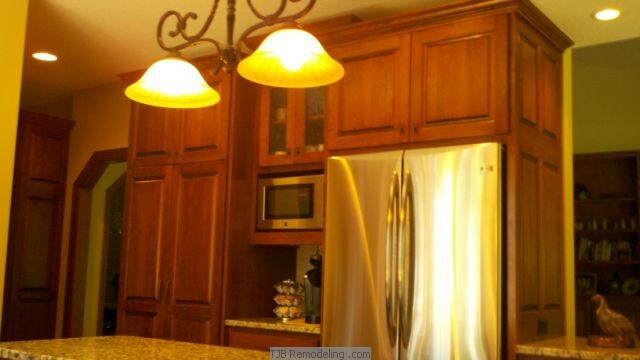 "However", she whispers, "I haven't told Scott yet!"